Supertuff Europe have a range of products that are ideally suited for use in retail environments, whether it be a secure container for staff possessions or a plinth for items on display. Manufactured in our UK factory using polyethylene (MDPE) that has been rotationally moulded, these robust products can comfortably cope with many years of continuous use. They are also easy to clean when required, requiring very little maintenance to be kept looking their best. 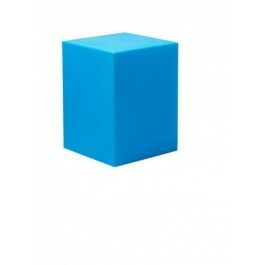 Our plastic cubes are commonly used in shop windows as display plinths, providing a simple yet stylish block of colour that draws the eye to the product on show. Being constructed to form a single-piece of plastic, the cubes have high levels of structural rigidity and can support heavy weights without stretching, denting or deforming. Mobile container trucks provide retailers with the ideal storage solution: compact, manoeuvrable and durable. 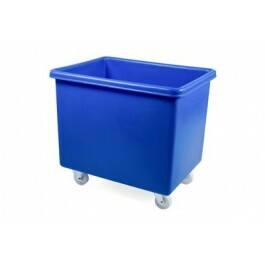 Available in a range of sizes, these bins can be used for transporting stock or collecting general waste and used packaging. Some models can also be fitted with a plastic handle to improve user handling. 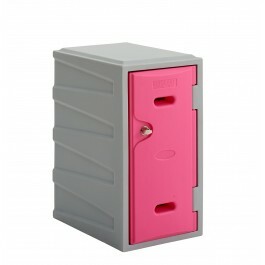 The Supertuff plastic lockers offer a stronger and more versatile option to traditional steel lockers. Using a rotational moulding process to create the locker and the door, these lockers cannot be dented and bent in the same way steel can and are also immune to rust, making them ideal for use in outdoor areas. For enhanced security, the doors are lockable using a variety of mechanisms and can be fitted with sloping tops. The Supertuff plastic safety step is a small unit that allows users to reach above their natural height and easily access high up items. The one-piece design of the safety step is a result of its rotationally moulded construction, ensuring robust build quality. 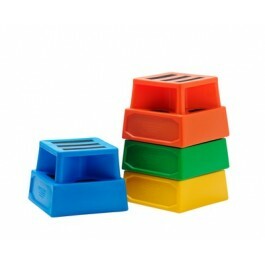 These units can be produced in a wide range of colours to integrate into colour coding systems.